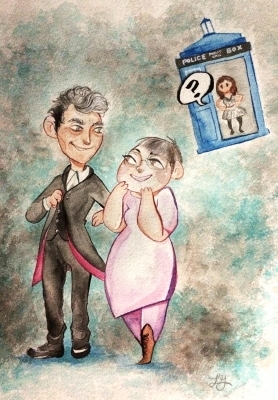 Commission done of client's mother with her favorite Doctor Who actor, Peter Capaldi. Made in colored ink on high quality 11x17 watercolor paper, similar iterations of this piece made custom ordered. Different fandoms and characters in a similar style are available for commission.